Who says that work cannot be fun? 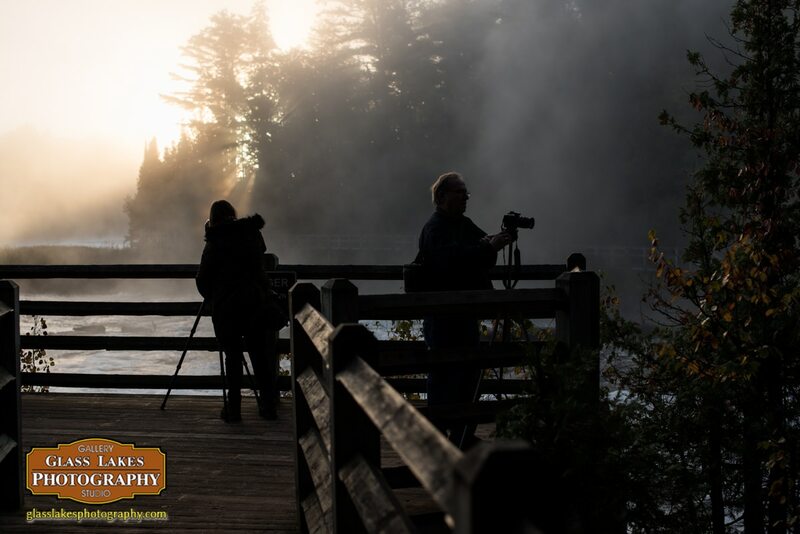 We, the entire staff of Glass Lakes Photography recently returned from Michigan’s Upper Peninsula. We took three days off, closed the store, and left. Now aside from the general escape of the day to day routine we wanted to go capture some of the grand colors of Autumn. 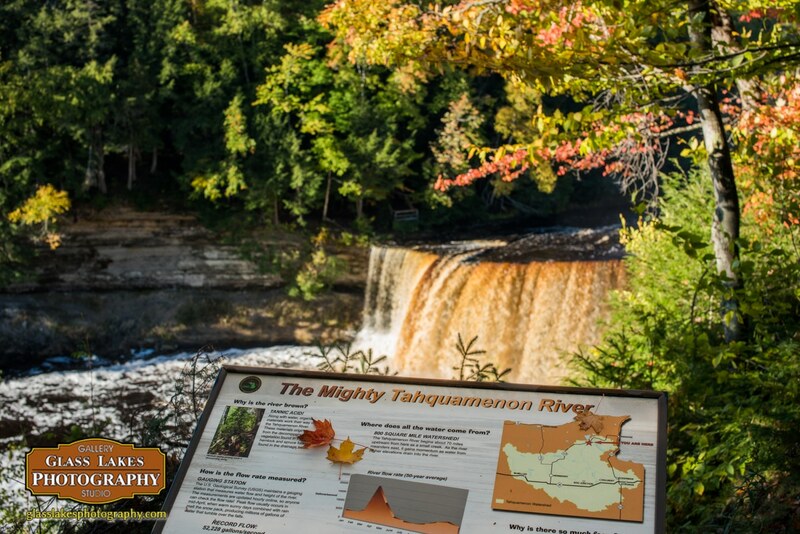 Our destination was the Tahquamenon Falls State Park. Sound familiar?, it should as I was visiting the area a few weeks ago for some shooting and scouting. We do not partake in these ventures for commercial gain, but as a continuing investment into ourselves and our employees, not all of whom are photographers. This allows some experience into the inner workings of the creation of the art, as well as the time invested. Curating a culture of enthusiasm which can be translated into The Gallery for the benefits of our clients. This is part of what I call my duty to responsible business operation. Over the next week, we will share stories from this trip, photos as well. Some photos you will see hanging up in the gallery, others will be online. 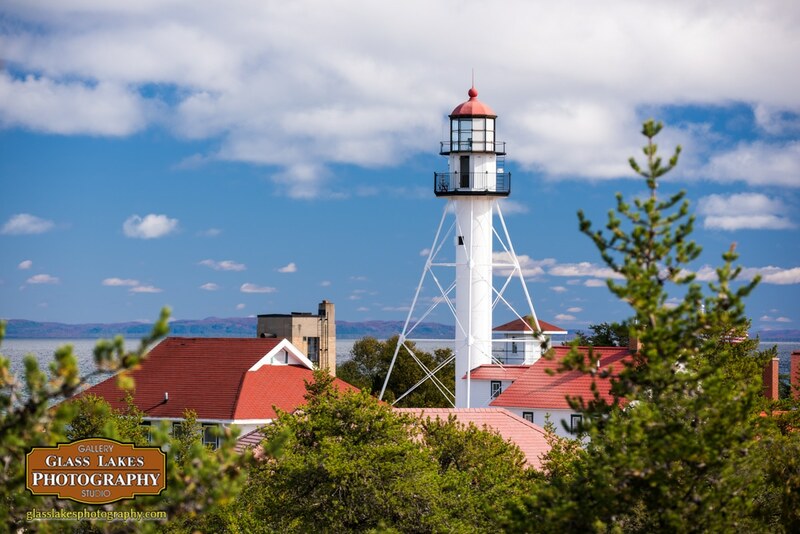 When we arrived in the north we meet up at the Whitefish Point Lighthouse, Shipwreck museum, and Migratory Bird Observatory. There is a lot to do in that little point. We spent the afternoon wandering around the point area, eating lunch, and then migrating to the campground and setting up for the night. It was an early morning the next day, one must be beat the sunlight if they wish to capture water in motion without the assistance of lens filters. 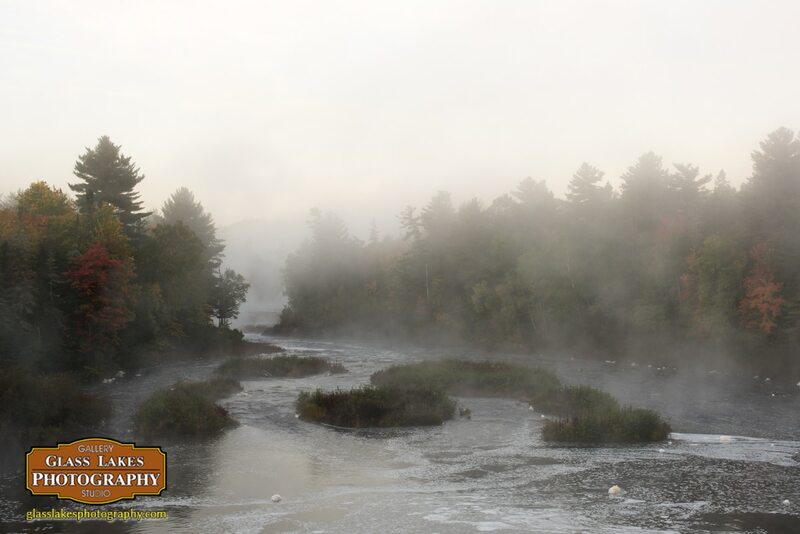 It was a cold night, and the water was significantly warmer, so there was a lot of fog forming in the river basin. The haze made for some interesting shots of the lower falls. Both Alyson and Dale were working their cameras on the southern portion of the lower falls. They spent their time working away with the haze, water motion, and contrast that morning had to offer. I shot the two of them working side by side on the observation platform over the falls. We spent our remaining time in the area exploring the wooded areas for fungi, colors, and other subjects of interest. even squeezed in some time for exploring the informative placards through out the park. These various signs tell of information about the water flow per second, why it is rust colored, and the history of the river and past proposed developments. 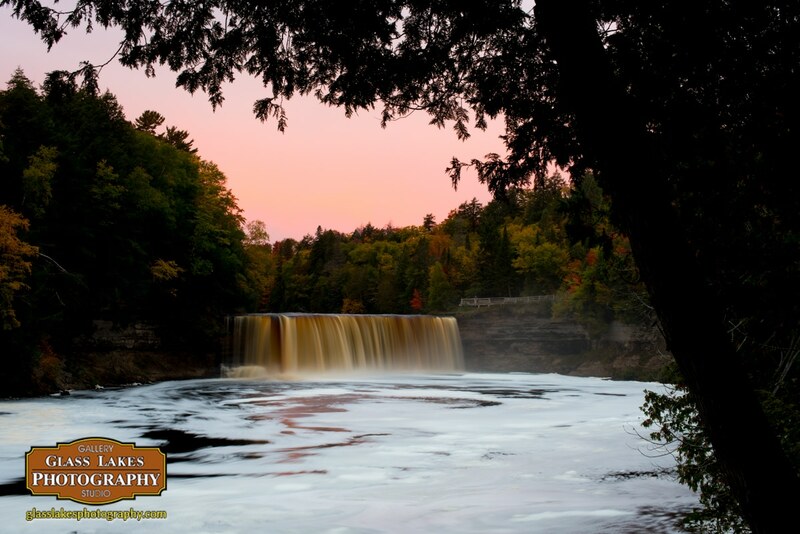 The second day we went to the upper falls for some shots, there was a wonderful morning red sky, of which we caught the latter portions of lingering over the falls. The light was quicker then we were that morning, by the time I was in position for the shot I wanted the color has subsided. Next year we will just have to be quicker. We squeezed this trip in right on time with the peak coloration of the area, and the best weather as well. After Dale and Alyson returned to Petoskey, Kayla and I were welcomed to a day of freezing temperatures and rain. 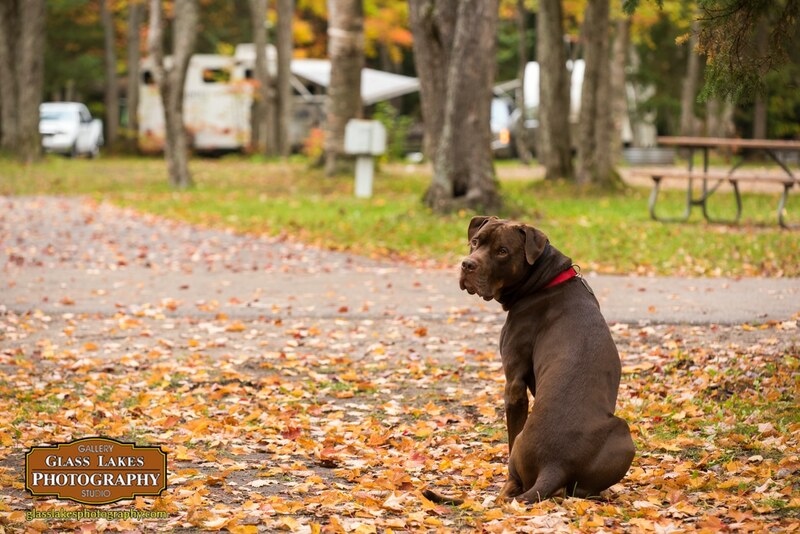 Bear was starting to get a case of cabin fever the day we left the area, here he is taking a break outside before the rain moved in for the day. 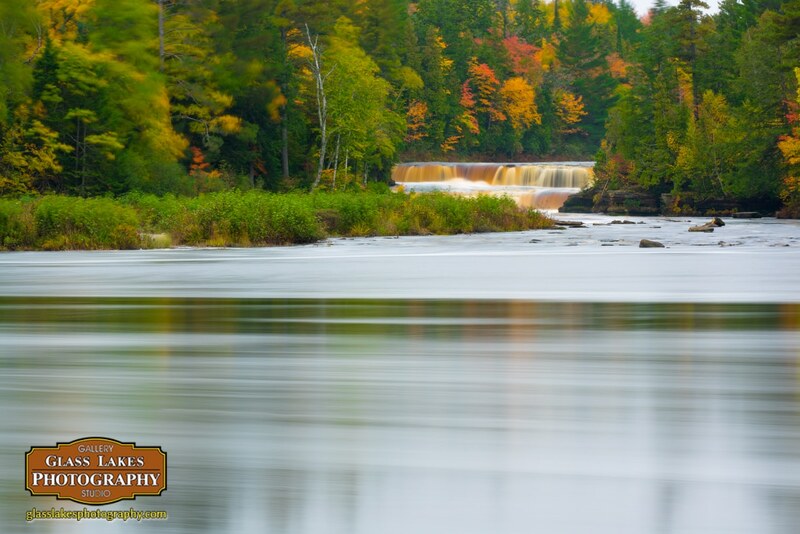 Now that we all have returned from the north, it is time to start exploring our area as the fall colors start to fill in. Are you out there exploring with your camera? Keep in mind that we offer the region’s best printing facility right in the heart of downtown Petoskey. Stop on in to see how we can help take your vision to hard copy. Soon we will have our new season of photographs in, from the summer and fall, you are welcome to peruse the new works.